So I've been under the impression since the introduction of the IBs that they occurred no more than five levels below your Leader's level. Yet one of my alts has for two Bounties running now, gotten a seven level spread in it's Bounties. 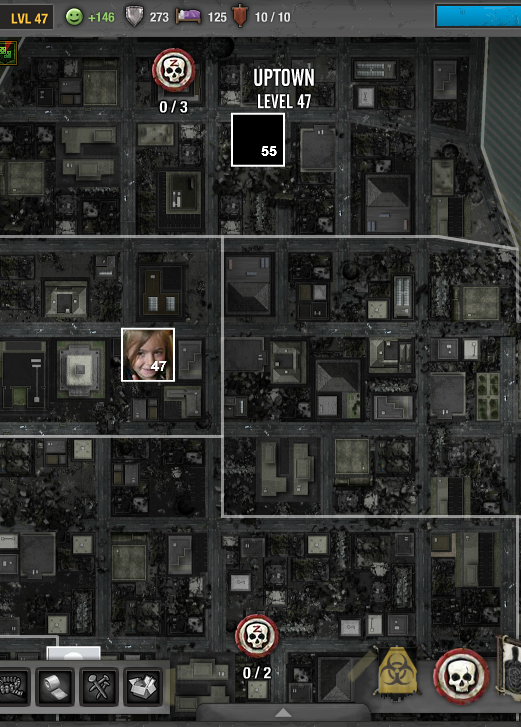 The first part is in Uptown (lvl 47), the second in Alton (lvl 45) and the third is in Newtown (lvl 40). So my question is; is this normal, and just never happened to me, on my main or other two alts - or is this some kind of bug. It's not a huge problem (unless we take into account the lack of Bruisers in Newtown of course :P), but some feedback would be nice. Edited by crazyeightyfive, 07 October 2015 - 02:19 AM. Any chance of a Dev giving a word here? I am not a developer, but consider the existing map for a moment, along with the idea that there are 2 different sets of bounties to be run. Last zone is level 50. 2 sets of bounties to provide some variation means that, at minimum, level 44-50 zones must be used. If they didn't do this, you would get the same 4 ( or 3) zones over and over at level 50-55 when doing bounties. I never did a bounty below level 50, so I do not know how that is set up. I can tell you that the highest level bounties have been as you are describing since the day they were introduced. Before the recent changes and when I was level 50, I always had them in Uptown, Newton, East, and Alton. Afterwards and being 55, I get them as low as West Bricks (13 levels lower). Can't have IB's on UI cause you might get 3 HERC boards (hasn't happened to me in forever, I seem to get the same 3 over and over), so even if the were all in Alton or above, they'd have to be 10 levels lower.